Your wedding outfit should be unique, everything you have ever dreamed of and most importantly, an outfit that is very YOU! There are hundreds of designers in Delhi - but will they a) fit the budget, and b) be able to make the outfit that you always imagined getting married in?! If you want to create something truly bespoke then why not check out some Delhi’s fabric markets? Here’s where you need to go for the best fabric shopping in Delhi. Fabric comes to life in the small, narrow gallis of Old Delhi. 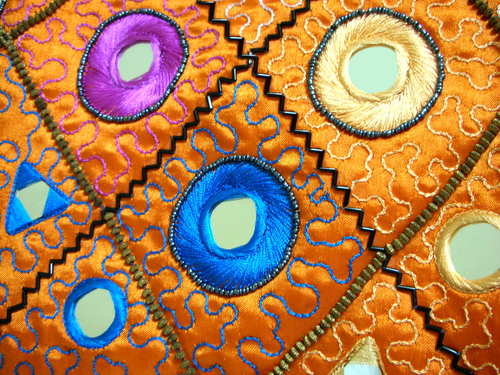 You can pick up the most exquisite cloth, embroidered fabrics, gota patti work and much more. Leave yourself the whole day and be patient. While you will find things at an affordable price, be prepared to haggle your way through the process! It is totally worth it, though! We suggest catching the metro from CP and making your way on foot to the shops you want to explore. 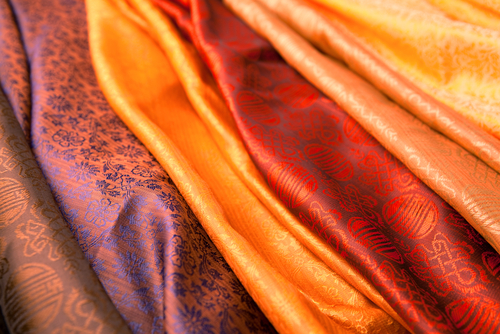 If you are looking for the best silks, georgettes and even net saree fabric, then head to Nehru Place. Right opposite the metro station there is a square that usually boasts of many IT gurus, but you will find many fabric looms too! Also read: The Delhi Bride’s Guide To Shopping At Chandni Chowk! Central Market in Lajpat Nagar has an extensive range of fabric shops (they are usually clustered together, so once you have found one or two - you will stumble upon them all). 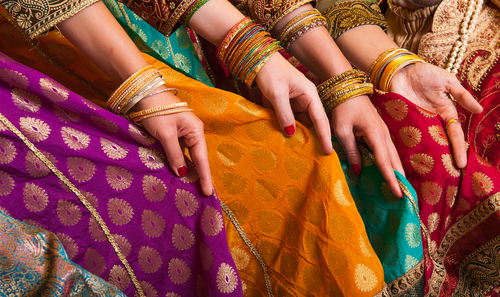 Here, you will find everything from beautiful raw silks to bandhani dupattas! It is a great starting spot and definitely won't break the bank! The prices get slightly steep here, but if you know what you are looking for then it is still going to be cheaper than going to a designer! Here you can get amazing semi-stitched lehengas and beautiful banarasi sarees. 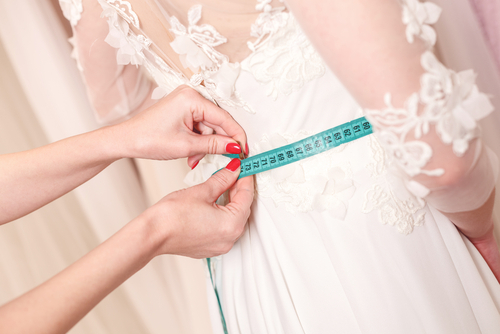 This is probably the best market to hit when it comes to finding your wedding outfit. If you are looking for semi-stitched pieces or indo-western gowns then this is the market for you! You will be able to find the latest designs and trends - it won't break the bank but it will dent the budget just a tad! With all the handlooms that are present in this area, you are bound to find some exquisite fabric here! Whether you are looking for delicate chiffon or embroidered fabrics or maybe fabrics to make outfits for members of the family - you’ll find it all here. This is very close to CP. It is opposite M-Block Market in Connaught Place. You will find an array of stores offering ethnic wear and fabrics here. To be honest with you, this market is filled with so many options that you will often find that even designers source things from here! You can find hand spun cotton, nets, georgette etc. There will be thaans that go on for miles and miles! Karol Bagh's fabric markets are filled with exquisite gems, if you look closely! You will find intricate Kashmiri embroidery and lace work and pieces that you wouldn't have seen elsewhere in the city. You will find a multitude of fabrics that will range in every colour that you can imagine. Also read: The ULTIMATE Guide To Online Shopping For Your Trousseau! If you are looking for some beautiful mirror-work pieces or ethnic/ tribal prints - then Janpath is your stop! While it can be pricey, you can tell these ladies exactly what you are looking for and they will be more than willing to oblige you and make something bespoke! 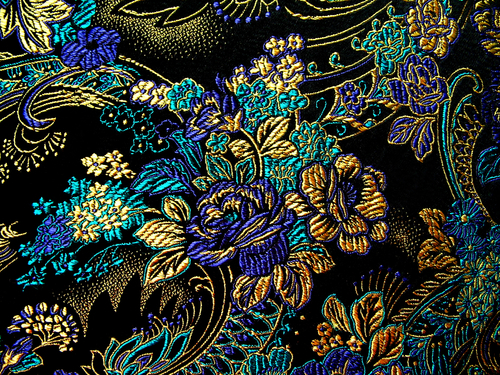 The fabrics will have a very antique feel to them.